On the 8th of August, thousands of young people across the country received the results of the exams they sat this year. Including the care experienced population whose lives hang in the balance of these results. When care experienced people receive great results, often we don’t have anyone to celebrate our successes with or anyone to comfort us when we fail. But fortunately, SQA as a corporate parent host a celebration party for exam results. Everyone is welcome and it’s a wonderful time every year, filled with inspirational and amazing people. This year I was asked to speak at the event. This was especially important to me because two years ago I received my higher exam results. I’d like to share my speech on how it felt to get my results, and how I dealt with the consequences. “I always did well academically. I scored in the top five in my year in a CAT test and was always very bright, I was used to doing well. But, because of unavoidable and uncontrollable circumstances, I failed all my Highers. I’ve always seen education as a golden ticket out of my horrible home situation, but when I failed my Highers I totally gave up. I felt like I had let myself down – but the system had let me down. But, failure isn’t the end of the world. Through failure I’ve met some of the most influential people in the world from Nicola Sturgeon to Barack Obama. I also got on to a law course, one that I was initially rejected for. I have a really cheesy quote that I’d like to share with you and I think it really captures how I dealt with what felt like constant barriers. Most of you have probably heard some form of this quote but it really resonates with me. When I applied for college I was rejected – but I didn’t have a window to run to. So, I went to a training input with the senior management of the college. I secured a place within an hour. Just as you shouldn’t take no for an answer when it’s something you really care about, you shouldn’t allow anyone to define what success is for you. In society today there are tremendous amounts of pressure to go to a ‘positive destination’. But a positive destination is whatever you want it to be. Success is making a difference. It’s practising your baking. It’s travelling the world. It’s going to university and making loads of money. People approached me after the speech and told me that they were inspired and felt as though they could go on to do amazing things. People really appreciated the message that your grades don’t define you. It doesn’t matter how you do in an exam because if it’s something you really want to do – nothing can stop you. This was my first time giving a speech so I felt an immense sense of pride. I’m motivated now to tell my story in other settings. 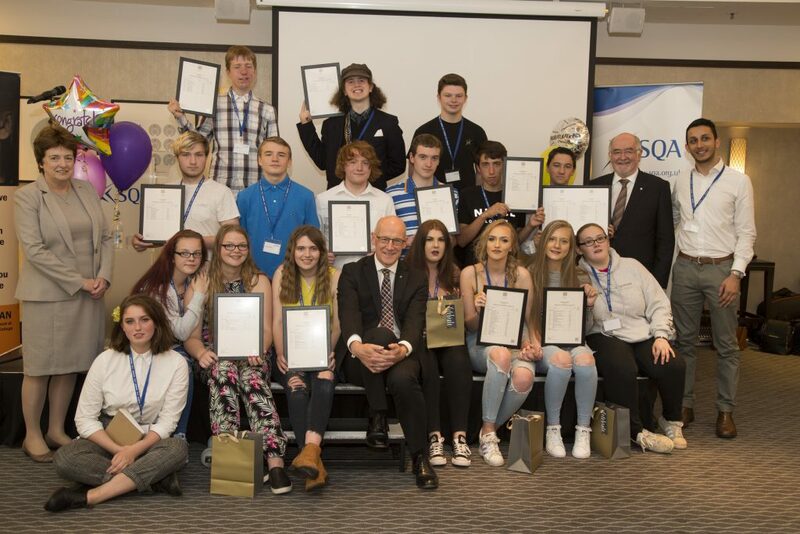 I’m also inspired by the SQA, in organising such a positive and celebratory event – leading by example for other corporate parents and for being so supportive of care experienced young people. This was a monumental day for many young people and the event was an amazing success. SQA showed everyone in that room that they are cared for and no matter what, they are a success.